The JT Realmuto saga is finally over. The seemingly never-ending saga regarding JT Realmuto’s future has come to an end, and it concludes with Realmuto getting traded to the Philadelphia Phillies. In exchange, the Miami Marlins will receive current Phillies starting catcher Jorge Alfaro, top pitching prospect Sixto Sanchez, another pitching prospect named Will Stewart, and international slot money that the Marlins will probably end up wasting. Realmuto has been the subject of trade rumors since last year, when the Marlins traded Dee Gordon and their entire starting outfield in a series of widely panned deals. 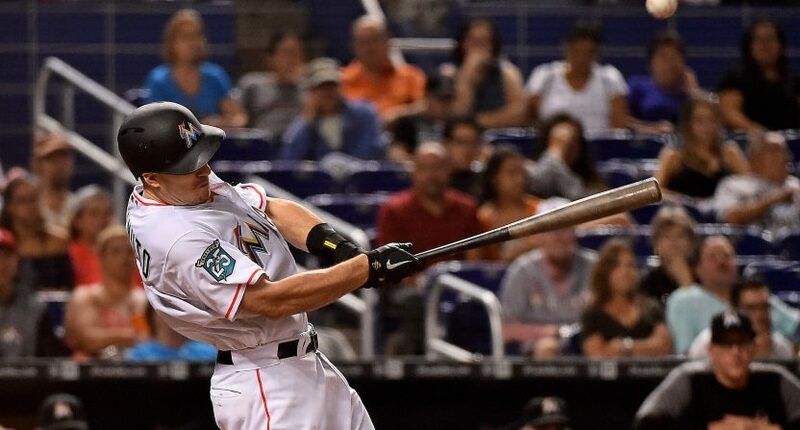 The 27-year old Realmuto put together an All-Star campaign in 2018, slashing .277/.340/.484 with 21 home runs for a wretched Marlins team, and all signs pointed to him getting dealt this offseason. But despite conversations with a plethora of teams, including the Braves, long thought of as the front runners, a deal never materialized because of Miami’s high price tag for Realmuto. This week, it appears the price tag dropped, and Philadelphia swooped in to make another significant addition to their roster this offseason (along with Andrew McCutchen, David Robertson, and Jean Segura). The 20-year old Sanchez is the Phillies’ top prospect, and a top 50 prospect in all of baseball, but has struggled with injuries during his Minor League career, has never managed to throw 100 innings in a season, and hasn’t even reached AA yet. Stewart is 21 and hasn’t even made it to high-A yet, but was a midseason and post-season All-Star for Lakewood in 2018. The Phillies initially acquired the 25-year old Alfaro from the Rangers in the Cole Hamels trade back in 2015, and he hit .262/.324/.407 with ten homers in 2018. He’s a stud defensively behind the plate, but his bat still has plenty of room to grow. If he’s able to continue to evolve as a hitter, he could be Miami’s long-term option behind the plate with Realmuto heading to Philly. Realmuto will be a free agent after 2020, giving the Phillies two years with his services (if they don’t sign him to an extension). The team has vastly improved this offseason, and Realmuto makes their offense even better – even if he does make them a bit worse behind the plate due to his poor framing skills. The real losers in this deal are the Braves, who not only didn’t land Realmuto, but saw him move to one of their primary rivals for the NL East crown. The top four teams in the division (Braves, Mets, Nationals, Phillies, and most definitely not the Marlins) are all quite tight, and any gain one team could make (especially at the expense of another) could end up being the difference come October. Now, we wait to see if the Phillies can add one of Bryce Harper or Manny Machado (who still haven’t signed, which is absolutely ridiculous), which could propel them to not only the favorites in the NL East, but the favorites in the entire National League.